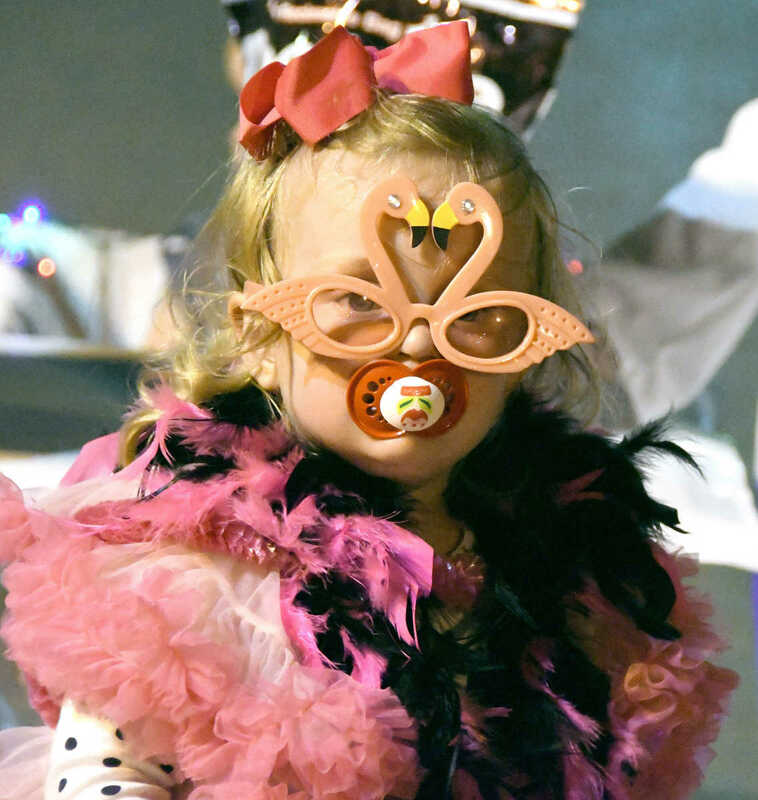 A crowd gathered along Main Street in Portageville for the annual Soybean Festival Kiddie Parade on Tuesday followed on Thursday by the even larger Grand Parade. The Kiddie Parade featured walkie characters, children and their pets, youngsters with decorated wagons and small floats. 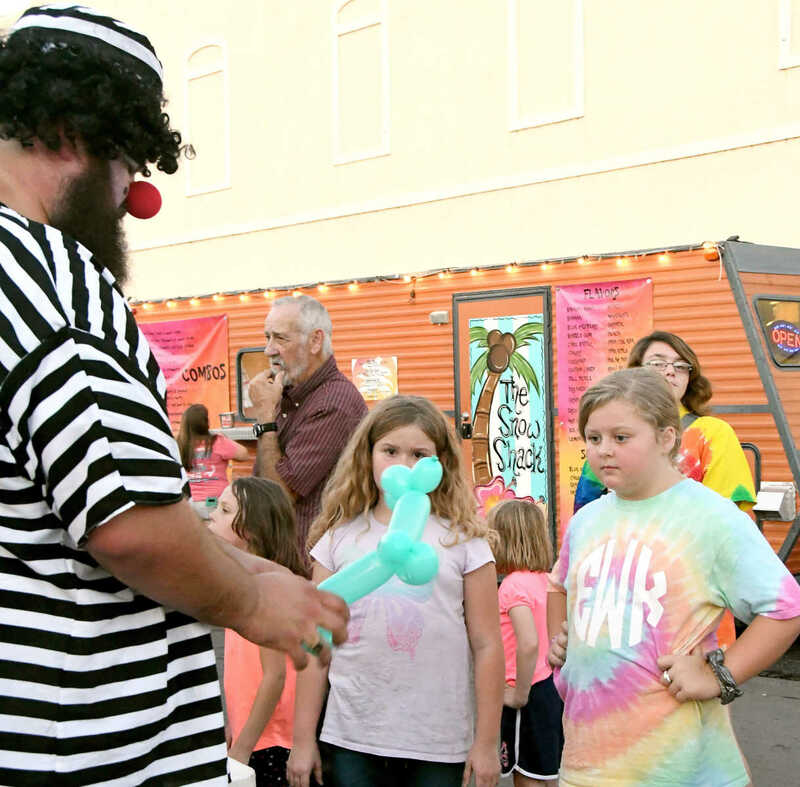 Gracie Harwell and Ella Wilson watch closely as Shifty the Shriner clown creates a balloon dog prior to the beginning of the Portageville Soybean Festival's Kiddie Parade. The annual festival concludes on Friday with a street dance. 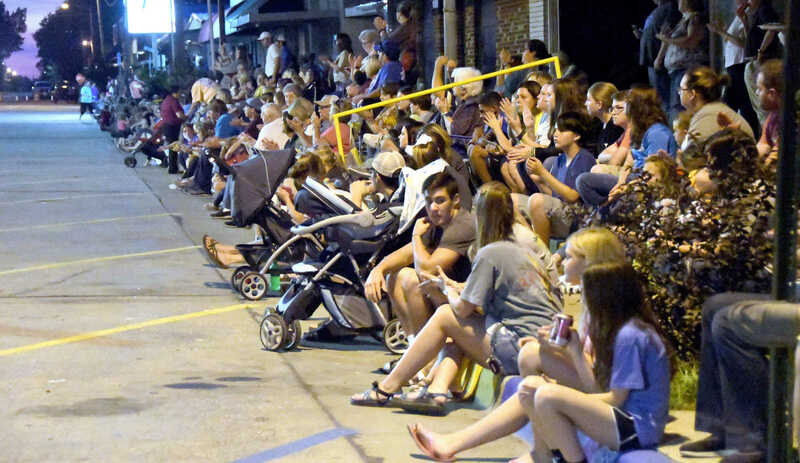 The crowd gathered along Main Street in Portageville for the annual Soybean Festival Kiddie Parade on Tuesday followed on Thursday by the even larger Grand Parade. The Kiddie Parade featured walkie characters, children and their pets, youngsters with decorated wagons and small floats. 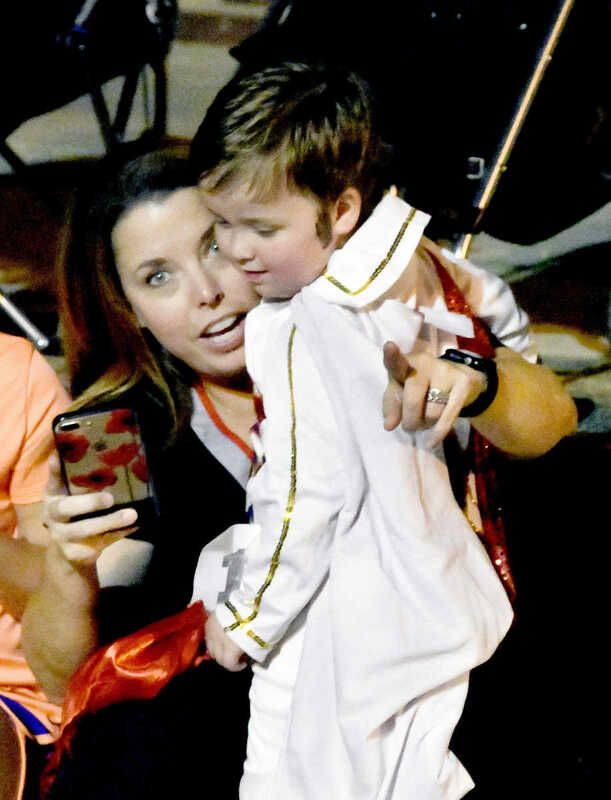 A very young "Elton John" joined Elvis and other rockers during a stroll down Main Street during the annual Soybean Festival's Kiddie Parade Tuesday evening in Portageville. 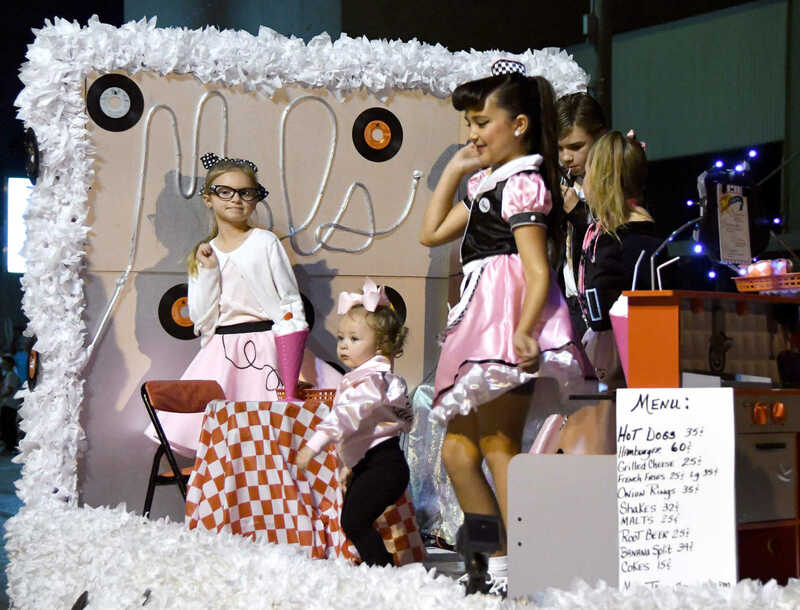 The first place winning float, "Pink Ladies" featured a 1950s diner, waitress and dancing customers. 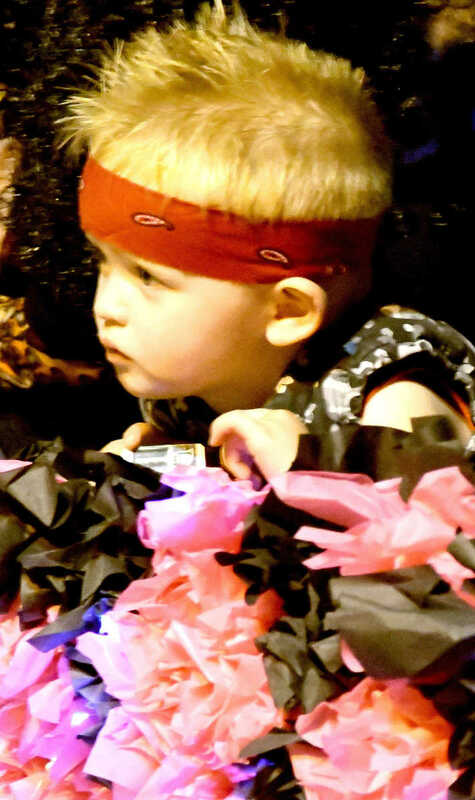 The float was one of several featuring youngsters up to 12 years of age during the week-long festival in Portageville. 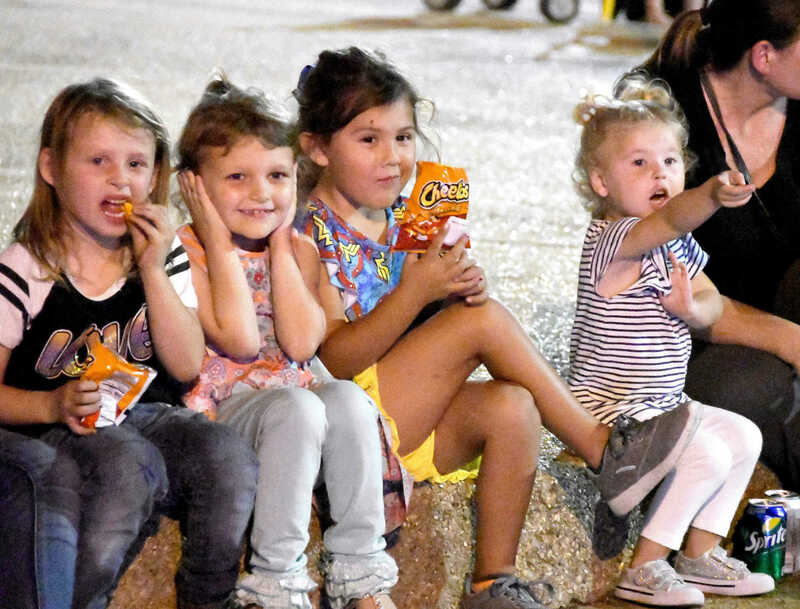 Excited youngsters lined the street to watch the annual Soybean Festival Kiddie Parade, one of several events featured during the week-long event in Portageville. The Festival ends Friday with a street dance. Eli Leonard as Elvis took a brief exit from the annual Soybean Festival's Kiddie Parade to give a fan a hug. Eli won second place in the 0 to 3 category for walking characters. John Hunter Shelly shows off his signature move during the Kiddie Parade at Portageville's annual Soybean Festival. This year's theme was "Dancing through the Decades." Emma Bidewell pauses in front of the judging stand during the annual Kiddie Parade at the Portageville Soybean Festival. Emma and friend Maggie Borton won second place in the walking category for children ages 4-7. One of the MTV Kids checks out those watching the annual Portageville Kiddie Parade Tuesday evening. 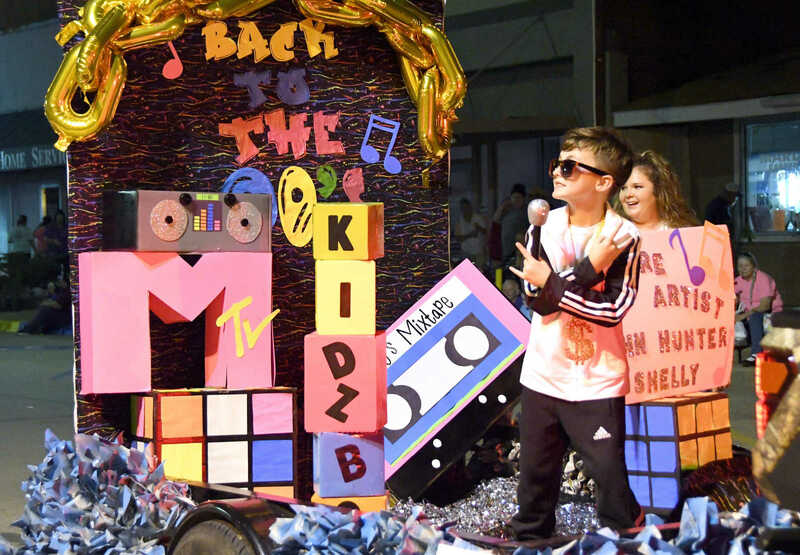 The MTV Kids float placed second in the competition. 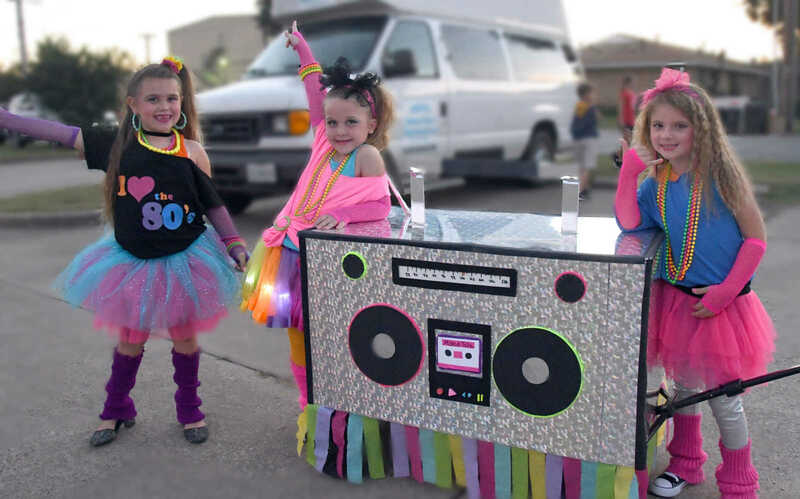 Canaan Sipes, Hadley Cook and Izabella Brown danced down Portageville's Main Street during the Kiddie Parade representing the 1980s. The girls won fist in the 4-7 age group in the wagon category.